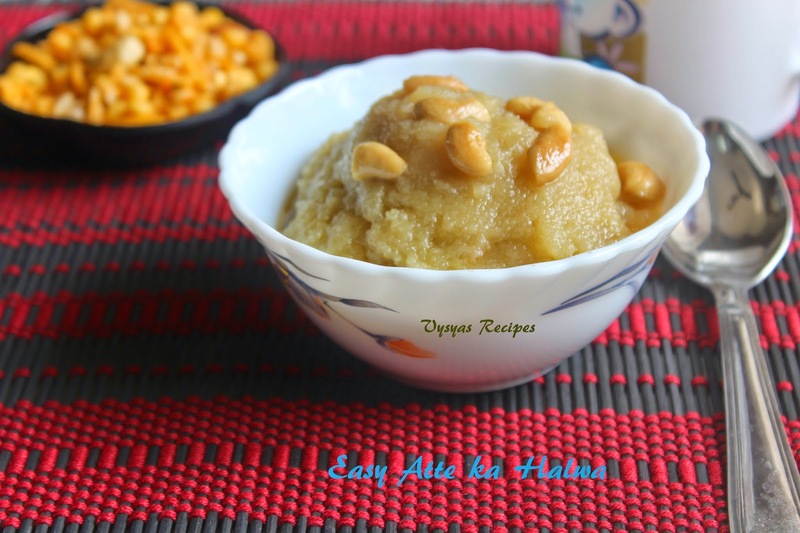 Atte ka Halwa is an Easy Halwa Recipe, made with Wheat flour,Ghee and Milk. This can be prepared within 10 minutes. 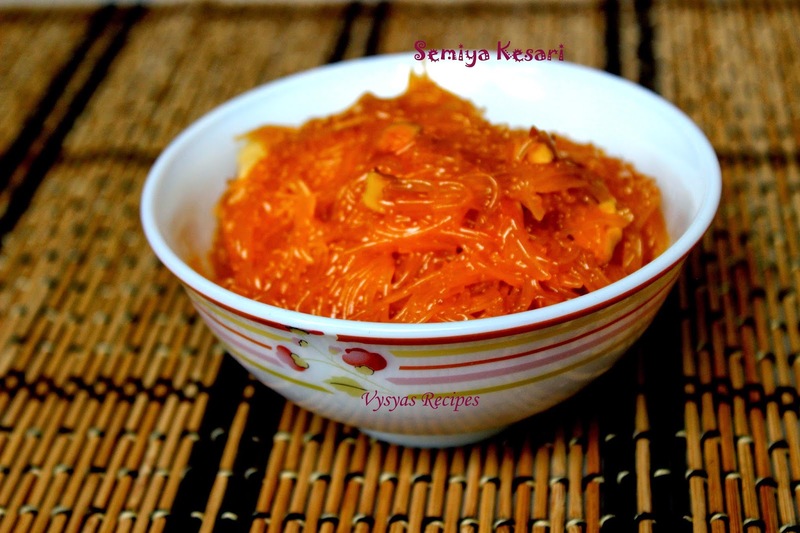 If your friends or relatives comes to your home you can prepare this quick dessert in no time.This is a handy halwa. if you have sweet craving,this is an instant sweet Recipe. Prep Time : 2 - 3 minutes. Cook Time : 9 minutes . cashews - 10(broken into pieces). Take a thick bottomed kadai, add 1/2 cup of ghee, then add cashews, when cashews, turns golden brown colour, add wheat flour. When wheat flour becomes slightly brown and when you get good smell of wheat flour,add milk little by little and stir well. Finally add sugar, and mix till it leaves the sides of kadai.Now wheat halwa is ready to serve.